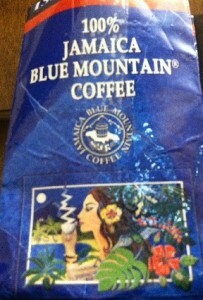 Welcome to episode 104 of Cawfee Tawk (that’s “Coffee Talk” for you non-New Yorkers), Jamaican Blue Mountain Coffee. 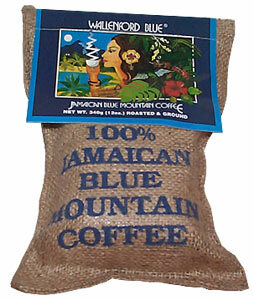 Rob Langer returned this week from a missions trip to Jamaica, where he secured a bag of 100% Jamaica Blue Mountain Coffee. The price on this premium variety of coffee has skyrocketed, thanks to rampant wildfires in Jamaica which decimated large portions of the nation’s coffee crop. Rob reports that a favorite way to drink Blue Mountain Coffee in Jamaica is with condensed milk. He tried it while there, but didn’t much care for it. And while the price of Blue Mountain Coffee was way up (from about $15 per pound the last time Rob was in Jamaica to $45 per pound on this trip) Rob did find Kerry Gold Butter, from grass-fed cows, for about $2.37 per pound. That gave us an idea for a future episode of Cawfee Tawk, “bullet-proof” Jamaican coffee with coconut oil land Kerry Gold Butter. Keep checking back for that. We may also try another recipe Rob discovered, deep-fried coffee! That one should be interesting.